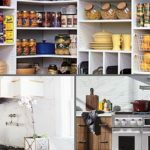 We are heading towards the new year and people have started already searching for new design styles and ideas that will hit the kitchen space in 2018. 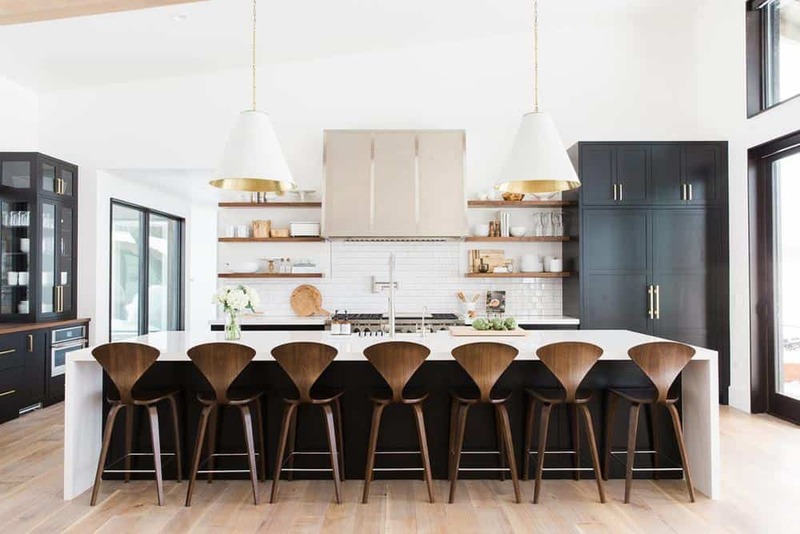 From color combinations, to cabinet styles, countertop materials, backsplash ideas, appliances etc, the new year will certainly have something trendy that will ignite your design spirit when planning for a new kitchen project or renovation. 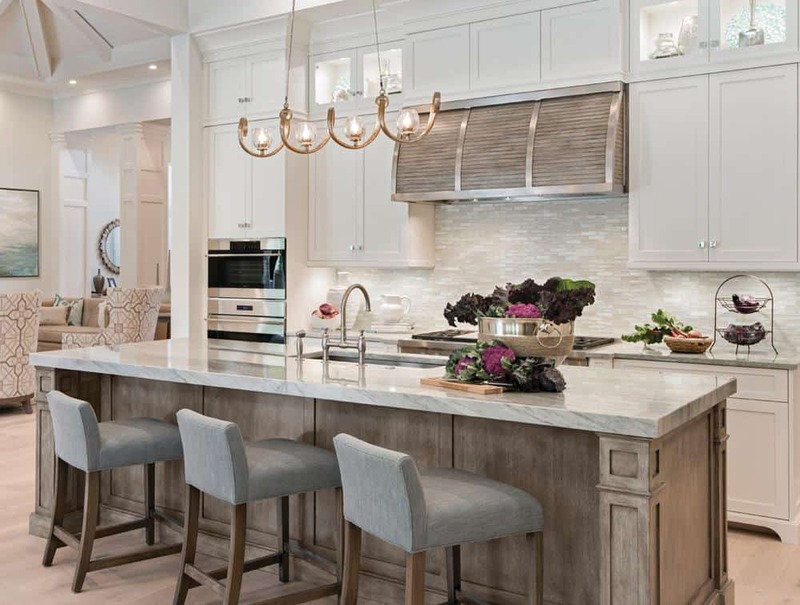 It’s no surprise that kitchens are often considered the heart of the home, when filled with bubbling sauces, roasting meals or baked treats. If you love to cook, or simply gather in the kitchen to enjoy a meal, you’ll know how important it is to have your kitchen looking its best. No wonder then, that kitchens are often the first rooms we renovate. 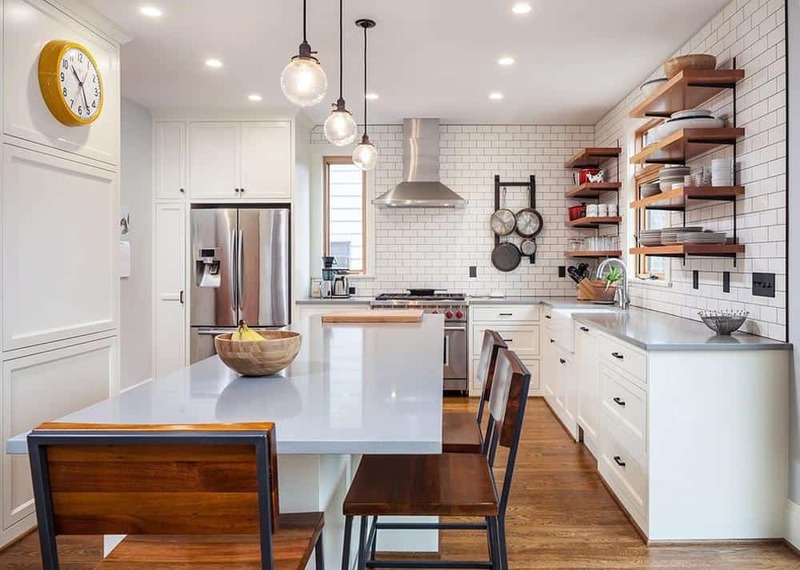 However, even if you aren’t interested in completely renovating or remodeling your kitchen, you might find you want to make some updates. 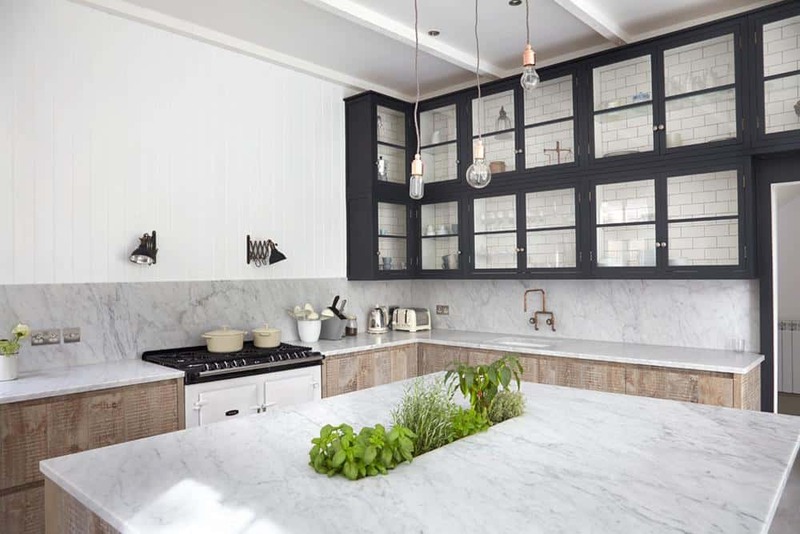 When designing your kitchen, you want it to be in trend. 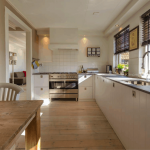 Renovations are costly, and you don’t want to be left with an out of date kitchen simply because of following old trends. Focus on how your renovation or even a new home project will have impact on your lifestyle, offer value, convenience, or savings. This will ensure you get the most out of your kitchen. 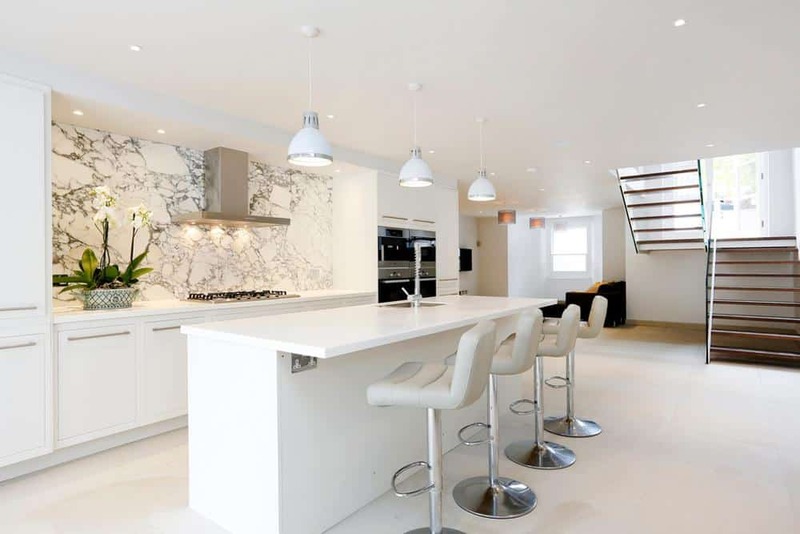 White kitchens will always have staying power. 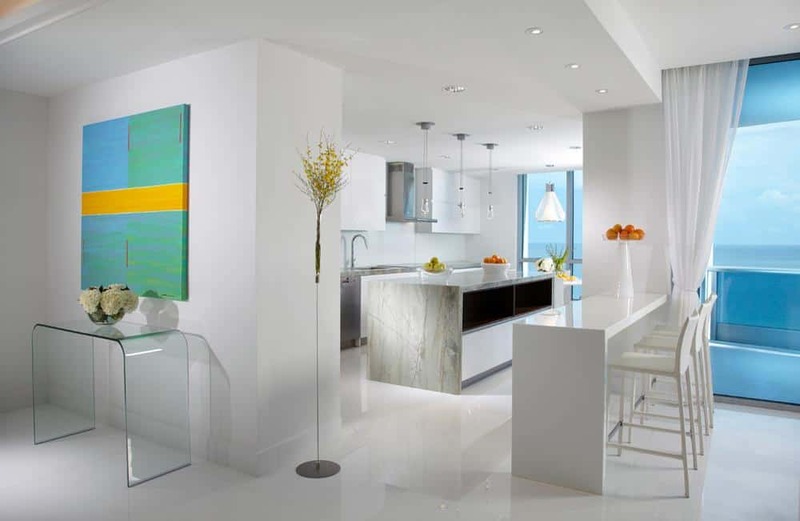 White looks clean and gives a feeling of space, offers simplicity, and has a contemporary look. 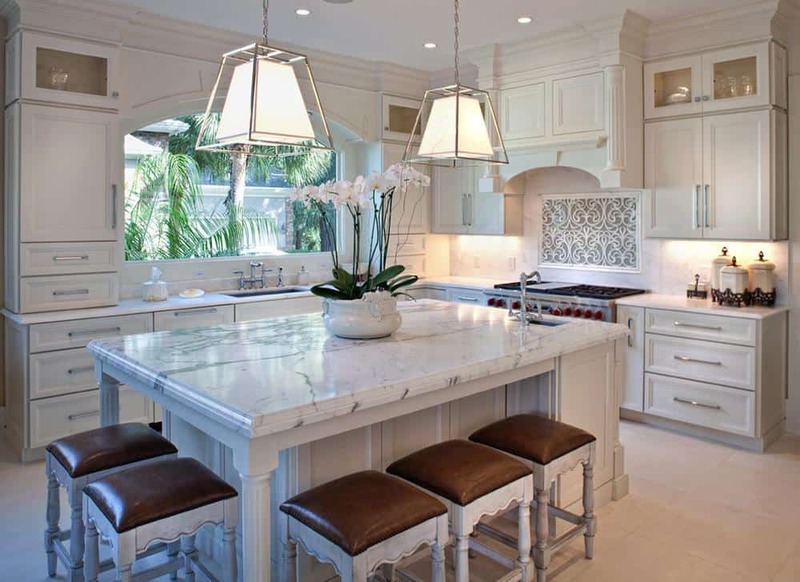 White kitchens are still trending, with white cabinets being popular through the years. 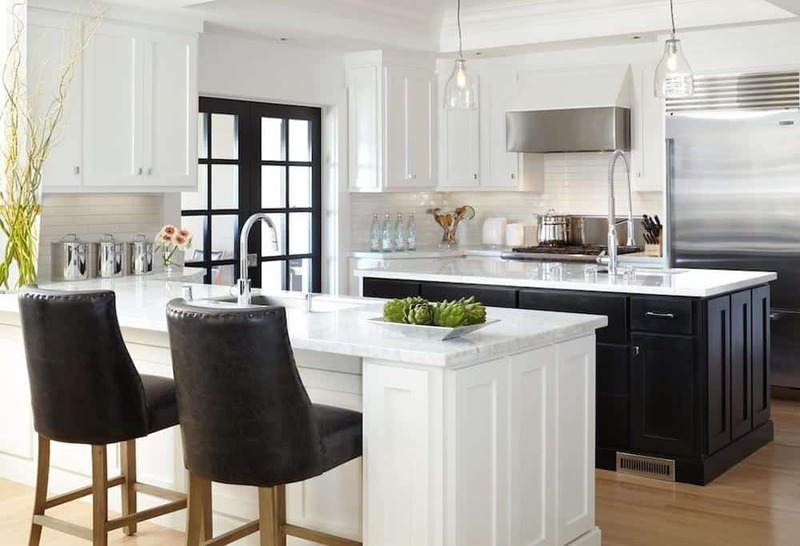 Many homeowners are using white in layers however, with cabinets, backsplashes, tiles or mosaics offering a simple and monochromatic palette. White kitchen appliances are also making a return, after being temporarily replaced by stainless steel or silver versions. Customers are realizing how easy white is to maintain and wipe clean, after battling with the smudges of their stainless-steel counterparts. Reap the benefits of having your kitchen look after itself (and you). Smart kitchens are definitely the way forward, with appliances able to assist you with your grocery list, the freshness of your produce, when your hands are under the tap, and even make you a fresh cup of coffee in the morning. 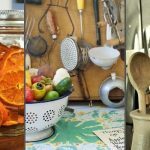 Growing a kitchen herb garden? There’s even a smart pot to keep your produce fresh. 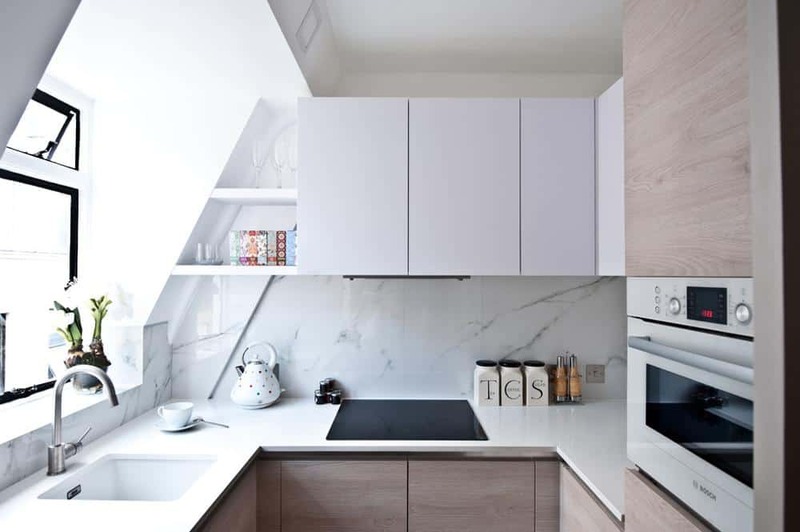 If you’re renovating, it often helps to design with a smart kitchen in mind, but even if you are updating, these items will add ease to your life. Don’t forget to add a smart lighting system, which enables you to control your lighting from your smartphone or tablet. With white being the most popular choice, many people are choosing to add interesting colors, textures, and patterns in order to add a sense of personality. 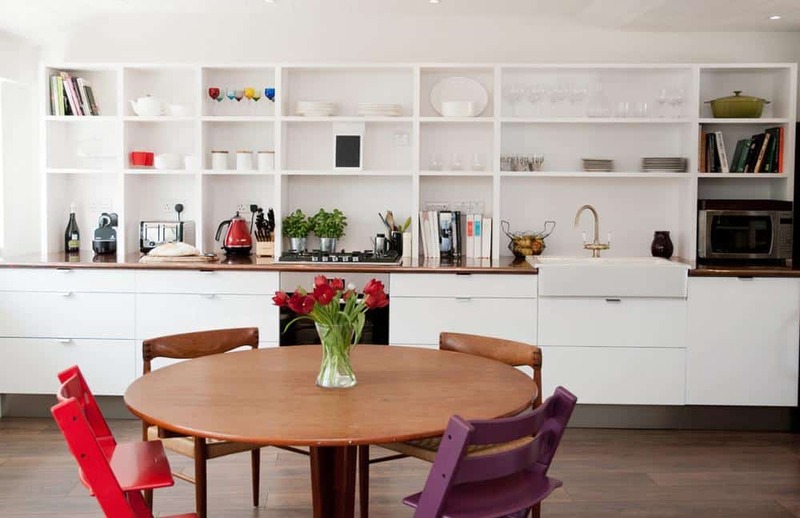 You could add patterned cabinets or touches of aubergine, indigo or grey. You could even choose deep, rich colors for your kitchen. If you are understated, you may love teal or olive green. 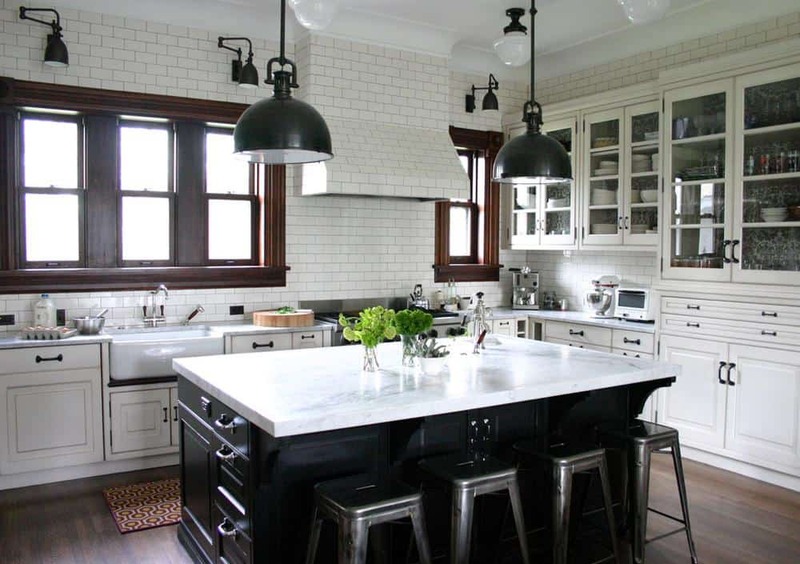 Dark wooden counters stand out against the whiteness of many modern kitchens, offering a sense of contrast. If you find strong colors overpowering, think about how to add color patches. Think of an all-white kitchen with a turquoise mosaic splash patch behind the sink, or a single bright cabinet to add a touch of interest. Alternatively, you could brighten up your kitchen island, or add accessories made in bright, playful colors. Easy living requires effective storage. Those hard to reach spaces, dark and dusty corners, or shelves which are not tall enough take away the functionality of the kitchen. Drawers which slam shut and trap your fingertips are equally unhelpful. 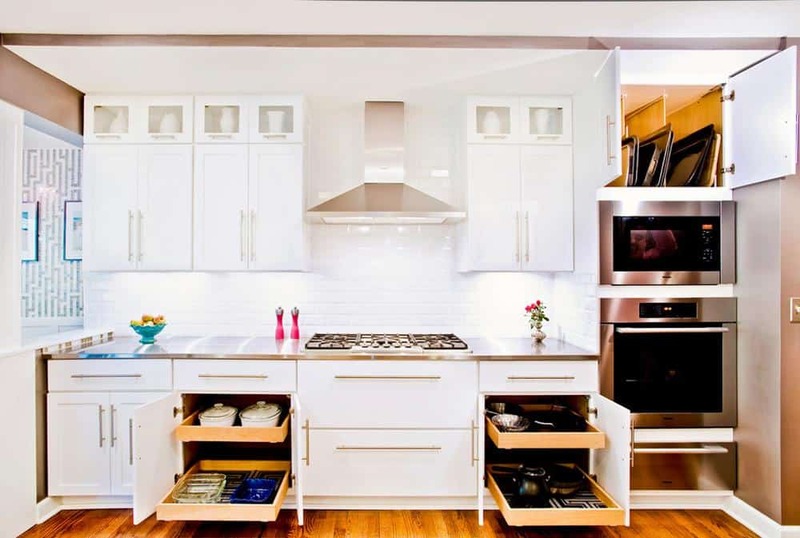 Storage is important to incorporate into your kitchen’s design. This helps to reduce frustration and keep your kitchen clean and sleek looking. With effective storage, your kitchen is automatically more efficient. Try drawer dividers for cutlery and utensils, spice racks or pull outs, caddies or hooks for pots and pans as well as cabinets to hold your wastebasket. Attractive rows of shelving or even wicker baskets help keep the food and appliances within easy reach. You could keep essential ingredients in a set of attractive glass jars, or have a built-in vegetable rack as additional storage. 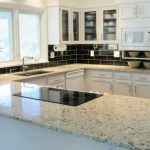 Quartz is tough, which means you can chop your vegetables, grab your cooking pot off the stove, or drop a can without worrying about scratching, burning or chipping your countertops. Quartz comes in many colors and can give you the look of a solid surface. Easy to maintain, quartz doesn’t have to be sealed to protect it from stains. 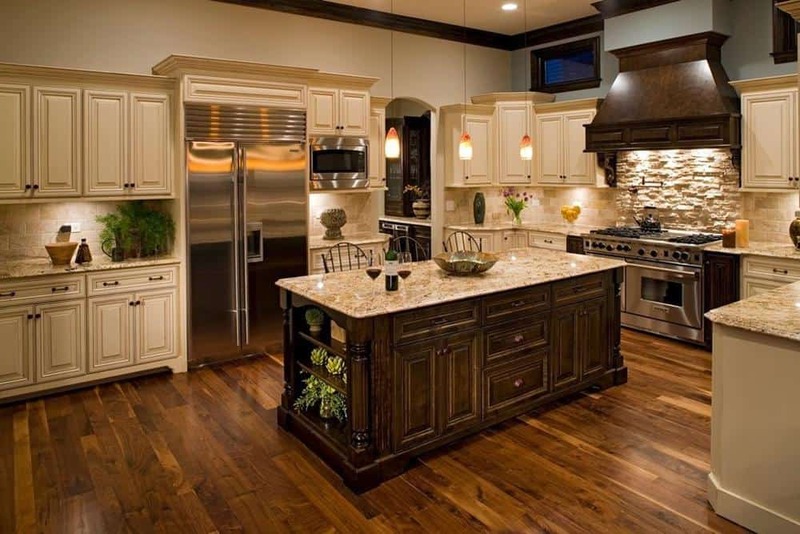 Hardwood flooring is always popular in a kitchen, but ceramic tiles follow close behind. Ceramics come in multiple styles and can give the appearance of stone or slate, terracotta, and even hardwood. With many different designs and styles to choose from, ceramics allow your creativity to come to the fore. No longer set in old style squares, ceramics may look like wooden planks, pebbles, flagstones or even bricks. You can mix and match with different shapes, or create a consistent feel. Whether you are going for a sleek and modern look, or an earthy, old-world feeling, you’ll find a tile to match. Easy to clean, and stain resistant, ceramic tiles allow you to create a unique look while your kitchen remains clean and hygienic. Those hard to reach shelves, inaccessible ovens and overly tall cupboards can be a pain in the neck. When designing your kitchen, make sure what you need is accessible and easy to reach. This might mean side door ovens, mounted at chest height so that you don’t have to reach down over a steaming casserole to take it out of the oven. Deep storage drawers are another option to store heavy pots and pans. You could also keep your bottles and jars in these drawers, making your spices easy to reach while you’re cooking. And don’t forget a convenient space for your microwave! Don’t set it too high, so that it’s difficult to use. Place it at a height which will make it accessible. 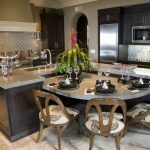 Kitchen islands are great for making meals, conversations, or mixing drinks. As the kitchen becomes the true heart of the home, a larger island replaces the old wooden scrub table as a space to come together. Islands are getting larger, so make yours as large as possible. You can use your island for storage place, use it as a space to install cooking appliances, coffee machines and even a wine rack. 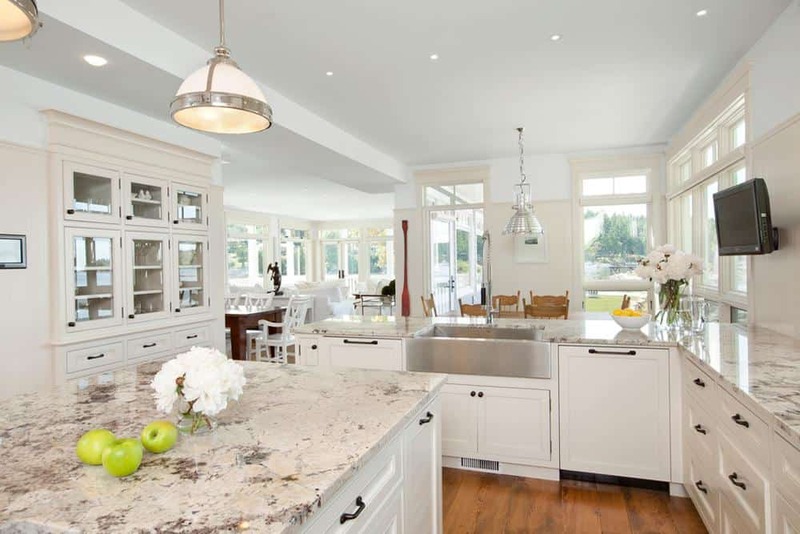 If you have an open plan home, a large island is a must! Banish clutter and keep your surfaces clean for a sleek, modern and peaceful look. Plan your storage so that you have a space for dustbins, fridges, dishwashers, pots, and utensils. Large storage cupboards give you space for appliances, and you could create a door or hatch for your kettle and toaster. With less clutter, you get to explore what’s really on your mind without the constant distraction. Just because you’ve gone sleek and modern doesn’t mean you need to be sterile. 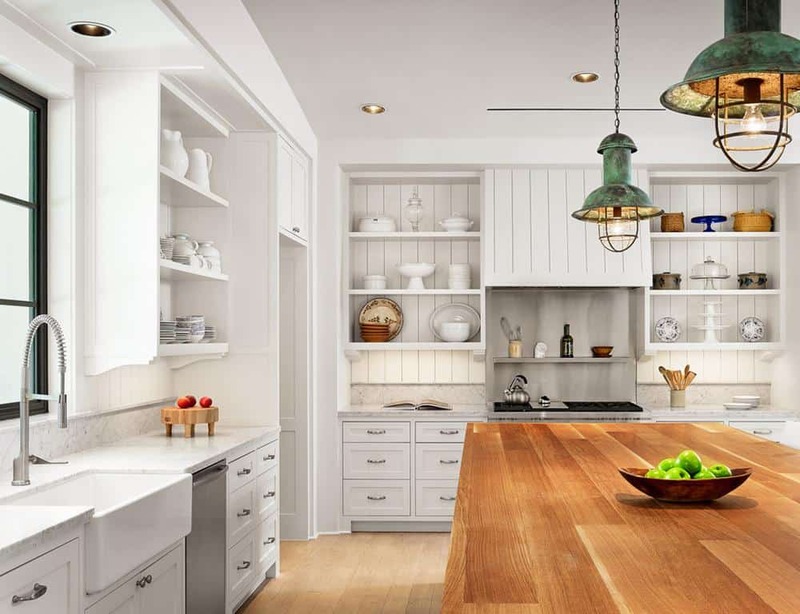 Wooden countertops or floorboards give a warm, earthy feeling to your kitchen, adding grain and texture to create interest. 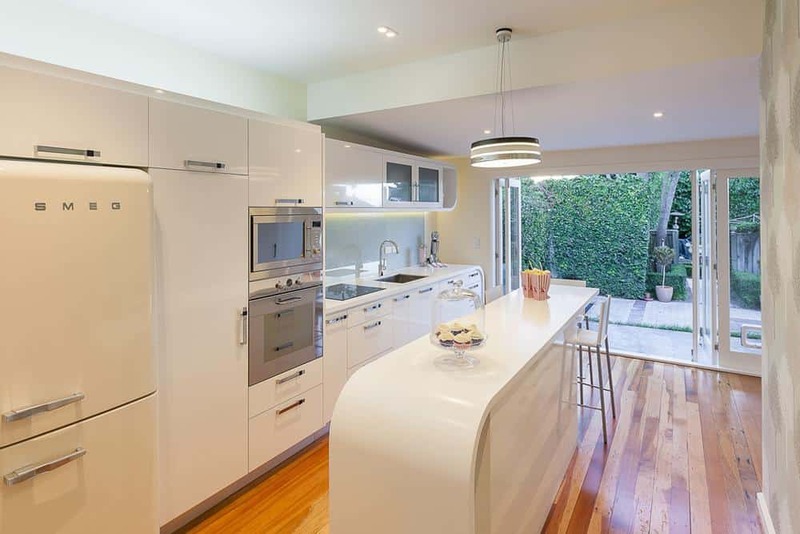 If you’re not keen on wooden countertops, introduce wooden chairs or warm shelving. 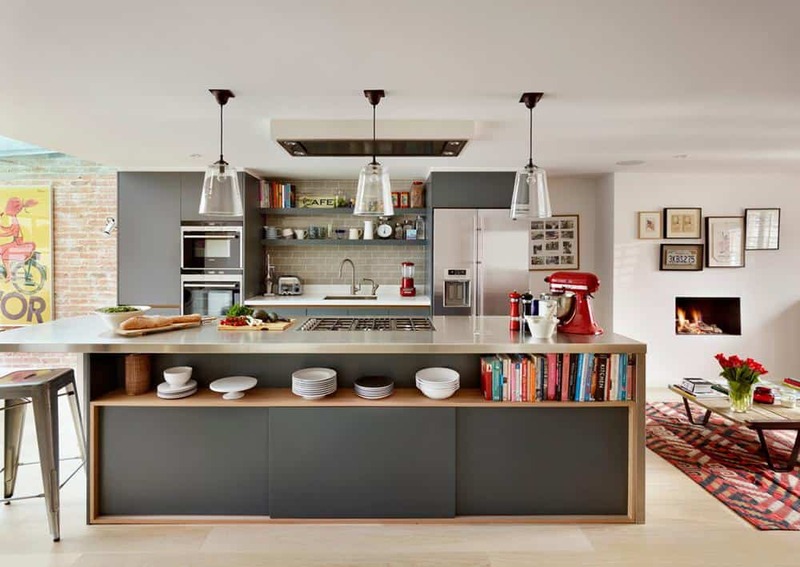 Now that you’ve created a sleek kitchen, open shelving allows you to show off what you love. Glass jars keep your nuts and dried fruit accessible, or you could display your favorite tableware, tea collection or baking supplies. When grouping items, go for similar styles or consider your colors. Your tableware, bright casserole dishes or a set of enameled pans will all look great if your colors match, contrast or fit together with a harmonious feel. High ceilings? Adding a new dimension to your kitchen brings a feeling of space. 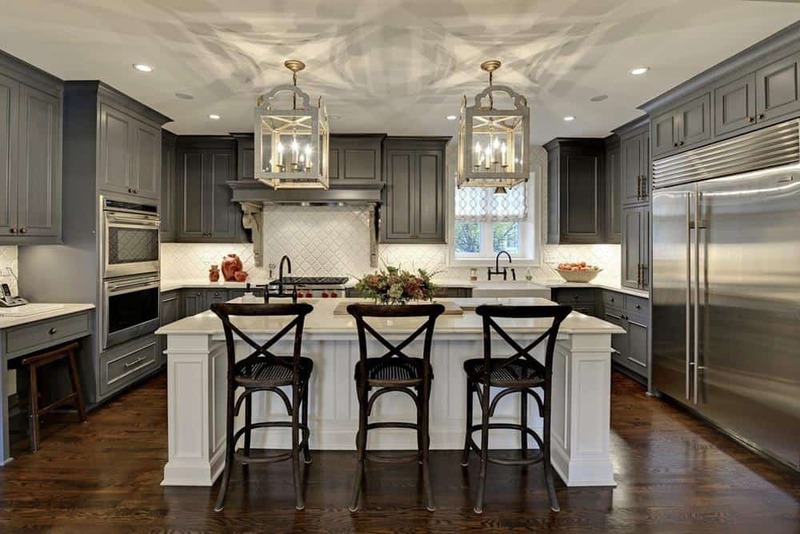 Pendant lighting is a new favorite for kitchen lighting, and it’s a great option if you have high ceilings. They are also easy to focus, meaning that you get to shine your light right where you need it, while still maintaining a sense of atmosphere. 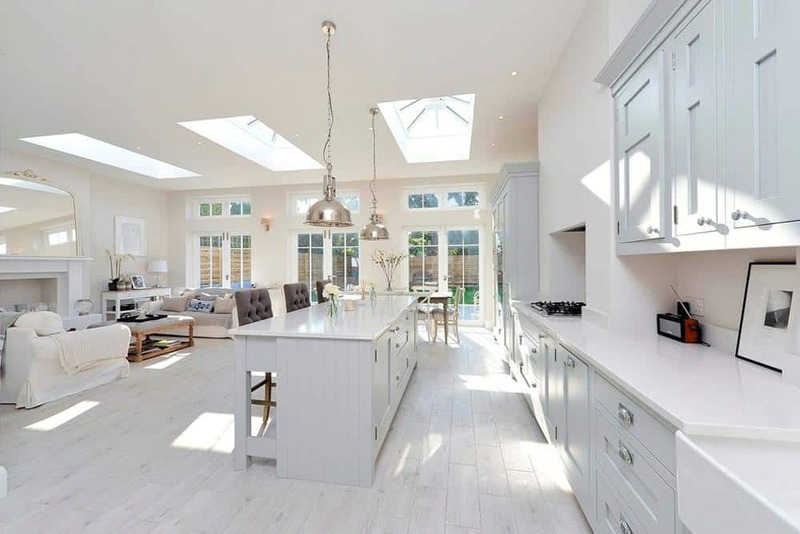 Whether you want to open your kitchen up to the rest of the house or add concertina doors to create an al fresco summer eating space, opening up your kitchen will give you a feeling of space. Whether you add brushed steel appliances, glass mosaics, stone flooring, matt tiles or rustic wooden countertops, think about adding a range of different textures. 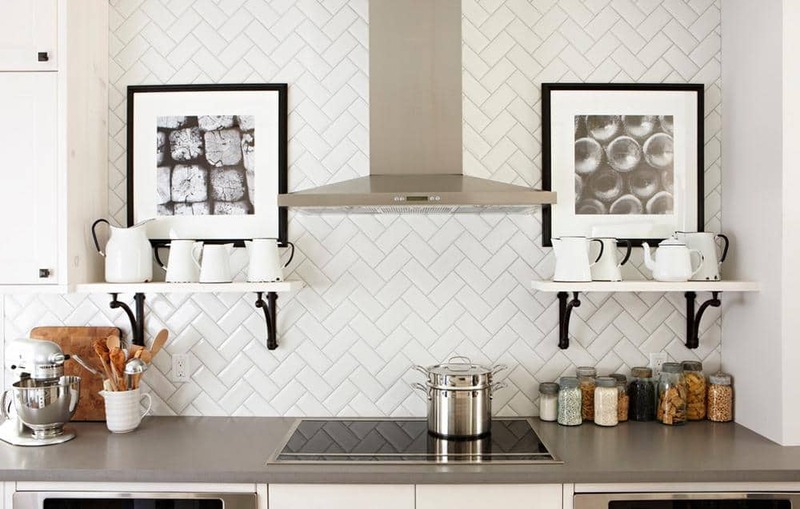 This will create multiple focal points in your kitchen, and create interest. 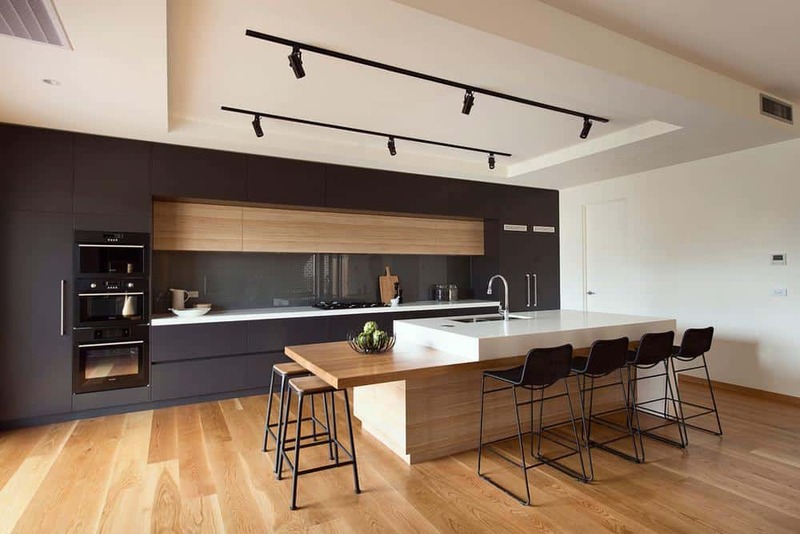 Even a sleek, minimalist kitchen can benefit from dark wooden countertops and sleek metal handles. Experiment until you find the mix that suits you best. Gone are the days of bright fluorescent lighting. 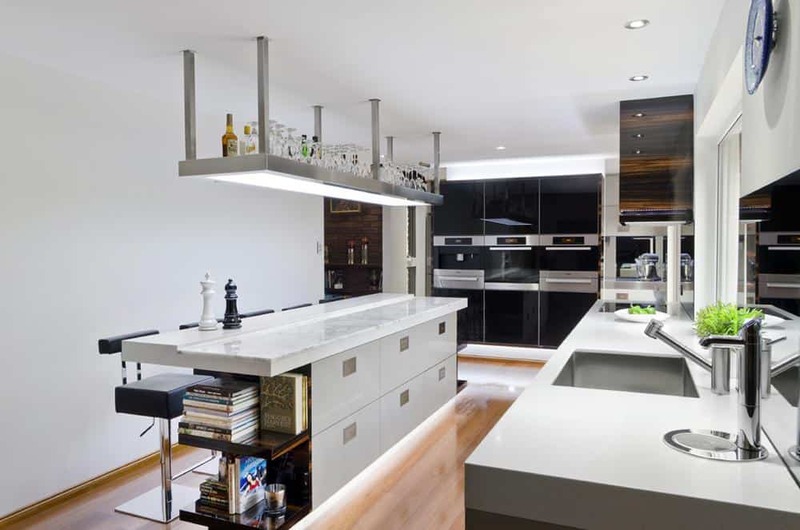 In modern kitchens, LED lighting leads the way. 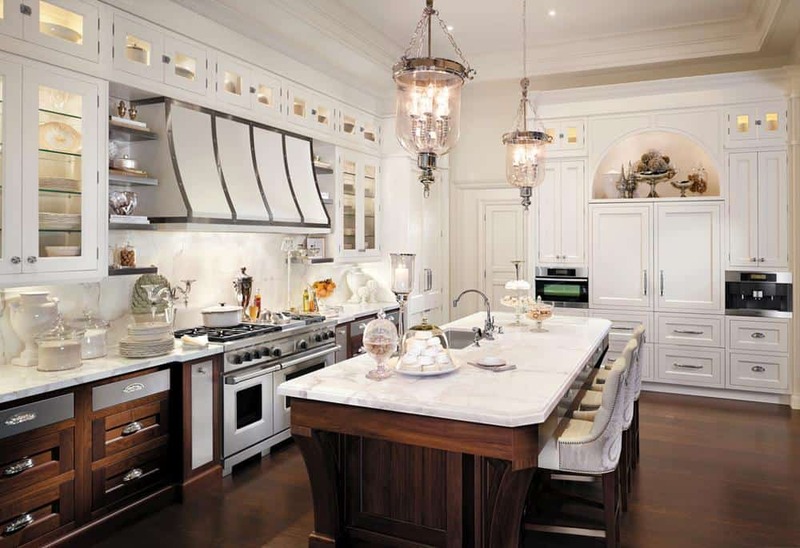 Installed inside of cabinets, or even under counter, this lighting gives a warm, ambient touch to your kitchen. LED lighting can often be adjusted, using a dimmer switch, so that you can keep them bright while cooking, then dim them down at mealtimes. Change the color or hue to play with the atmosphere. 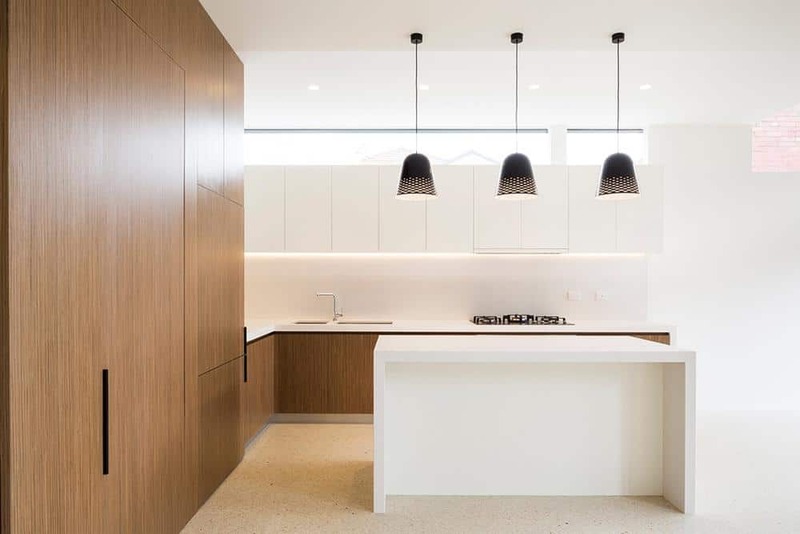 These discreet, sleek lights will give character to your kitchen. Your kitchen isn’t only the heart of your home. It is also one of the most important spaces to update in order to maintain the value of your home. 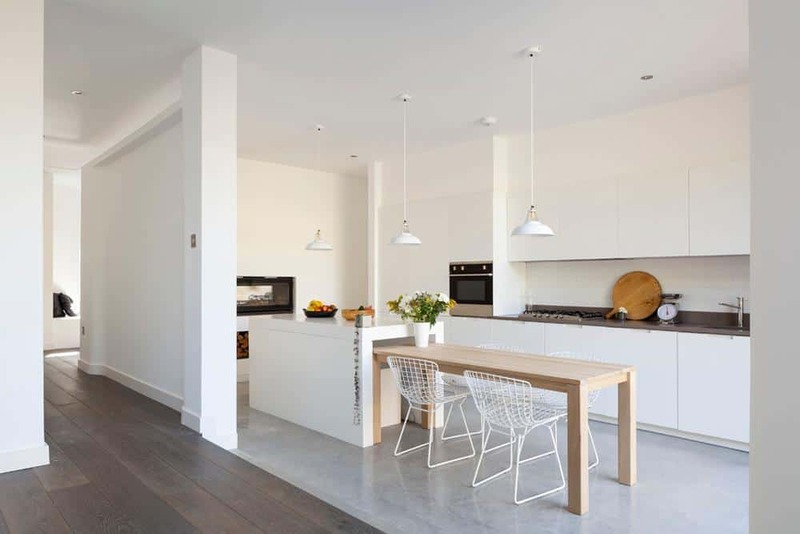 Keeping your kitchen neat and modern will add value to your home, and give it appeal to potential buyers, should you ever wish to sell. 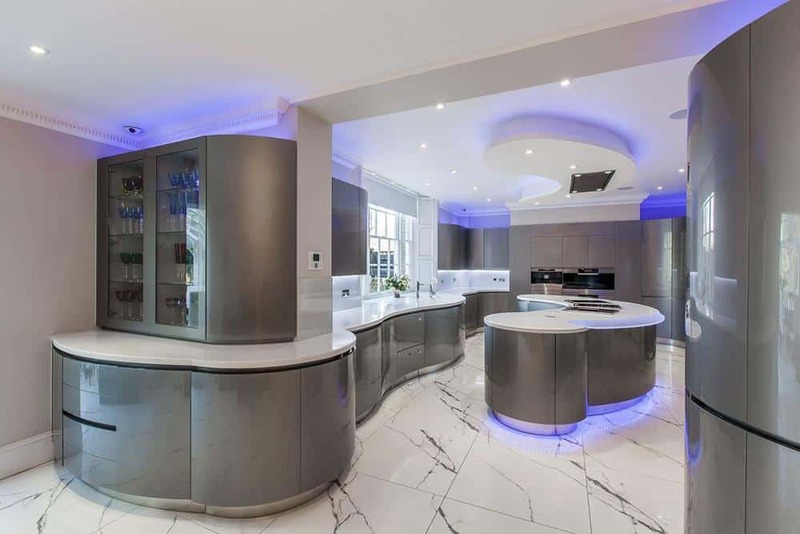 Making an investment to uplift your kitchen will add to your quality of life, create a communal area for the family to come together, and add to the value of your home. 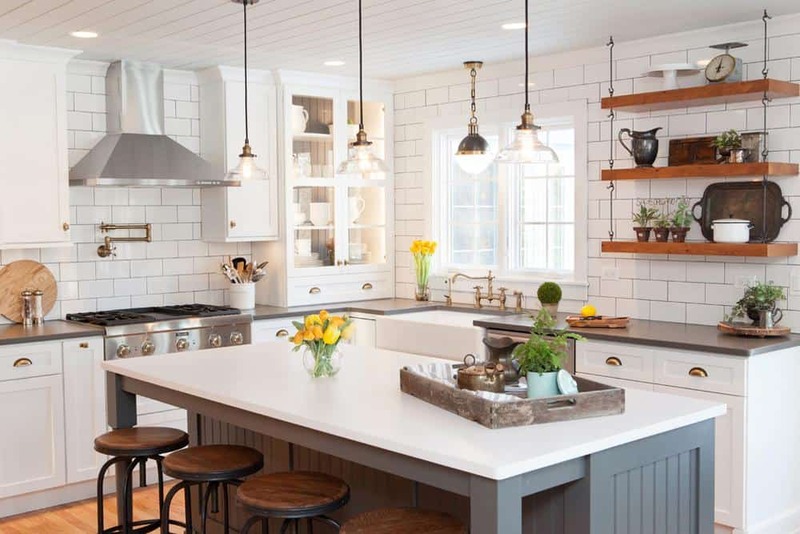 With more choices and kitchen trends in 2018 than ever before, now’s the time to give your kitchen a facelift.